If an XC-only stem is too wimpy but a super-beefy DH stem is overkill for your trail riding adventures, the AKA might be just the right fit. Crafted with super-stiff forged 7050 aluminum in a minimalist design, the AKA does double duty as an XC or all-mountain stem. It’s lighter than many XC stems on the market, but throw some wide bars on it and point it down your sketchiest trail and you’ll see where the AKA really shines. Tried this stem because I could get it in white to match my fork. It sort of has the looks and weight of a stem aimed at the XC market but it is burlier than it looks. It has taken my abuse and looks good at the same time. Can't complain. 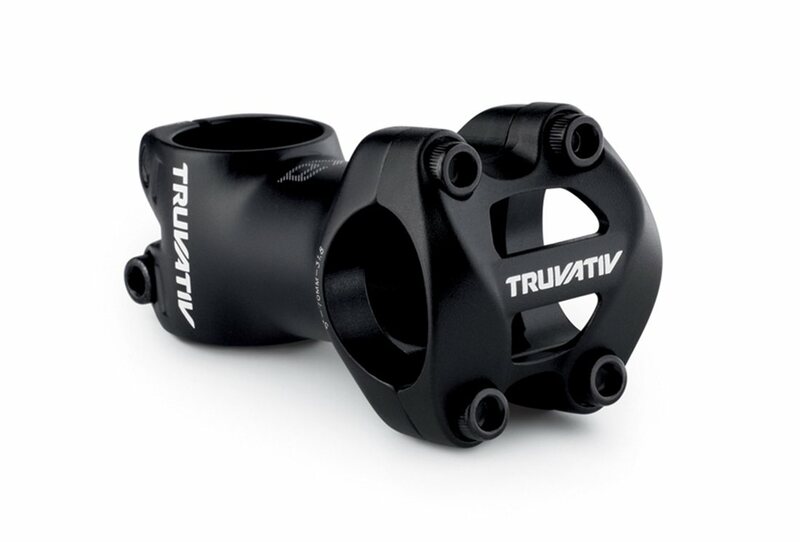 Great stem for trail/AM use. A little burly if all you do is xc. Of course you can spend a small fortune on a stem, but there's no real reason unless you're a semi-pro/pro racer. Just pick the right size. 90 mm is pretty common for trail/AM. Replaced a 110mm on my Trek Fuel EX and an 80mm on my Motobecane Sturgis with this stem. Great length options, well built, and looks good. After a half dozen rides on the fat bike it's performed flawlessly. Bought the 60mm version due to price, since I wanted to try a shorter stem length. It's a stem, so there's not a whole lot to say about it. -Quality/finish is acceptable, and the construction robust. -A bit heavy, but no surprise due to the description and listed "approximate" weight. -Features are good. Has an indexing mark on plate for lining up with front tire. 5mm bolts same as headset screw, which is convenient, particularly when swapping it frequently to experiment with different stacks/stem heights, bar widths, etc. I took this up on a shuttle ride in Mt. Wilson, the stem was just as good like their more expensive counterparts in just wish is they come in on 0 degrees but other than that, I love the stem. Thanks again jenson usa! Keep using UPS, as FedEx is horrible and refuses to even attempt to deliver to my door. Received the next day after ordering along with my new handle bars.... Jensons is the best!!!! It's a stem, and I definitely don't know what makes a bad one. The white looks sweet with my bike and it seems really solid. I know it's a good brand, too. Looks great, functions like it should. Everything stays tight and true. What does "38 height" mean in the drop down box? Wanting to confirm this has a 31.8 clamp diameter for the bars. It does have a 31.8 bar clamp diameter.